In order to get the most out of social media for your business, it’s important to keep track of how your brand is performing across your social channels and—in turn—how social media is contributing to your ROI. With Hootsuite, you can track your social media engagement and performance through various analytics reports. Hootsuite analytic reports are flexible and customizable, giving you the ability to decide which metrics are most important for your business. In Hootsuite, a report is built from various analytic modules. For example, if you wanted to track your monthly Twitter follower growth, that would be a module. 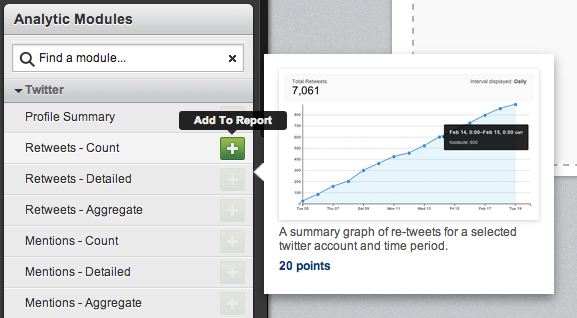 You can use modules to build a report from scratch or you can choose from one of Hootsuite’s report templates. Each module within Hootsuite has a point value. 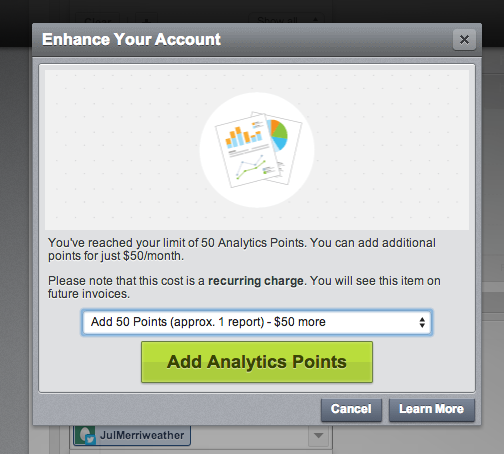 With Hootsuite Pro, you automatically receive 50 points but can add more points to your account at any time. Points are reuseable, meaning if you delete a report or remove a module from a report, those points will again be available to use. Use your points to create one or multiple reports and auto-generate your reports for as long as you like for no additional points. Follow along to learn how to use Hootsuite analytics points to create reports that are customizable to your business. Within the Analytics tab of your Hootsuite launch menu, choose the report template that you would like to use. Different templates require a different amount of points, ranging from 0 to 75. 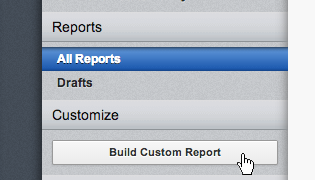 To build your report from scratch, click Build Custom Report under the Customize field within the left-aligned menu. Next, select Custom Report in the pop-up window. Let’s say you’ve chosen to create a custom report, which costs 0 points. With your remaining 50 points, choose which modules you would like to include in your report. Modules can be found under Analytic Modules and are sorted by social network or functionality. For example, all Twitter related modules can be found by selecting Twitter. Each module requires a different amount of points. In order to view how many points each module requires, hover over the + next to the module’s name. To remove modules, and reclaim points, simply click Remove in the upper-right corner of the module. In order to create the best and most detailed report for your business, sometimes additional points are required. See how to add points to your Hootsuite Pro account below. 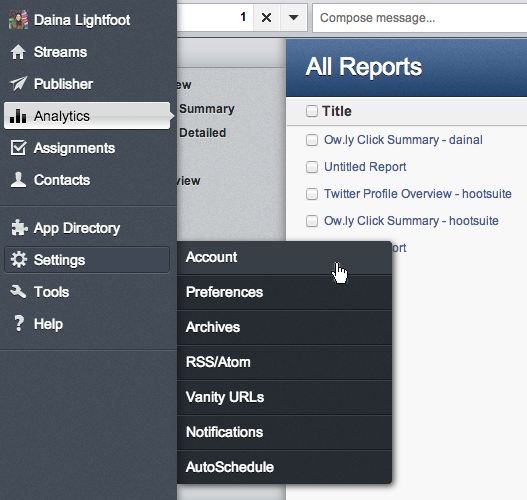 Choose the gear icon in your Hootsuite dashboard’s left-aligned menu. Select Account. Within the pop-up window that appears, select Modify or Upgrade Plan. Select the amount of additional points you wish to add to your account. Click Save Changes, followed by Continue. Note: Under Plans and Features, in the Add Additional Points drop-down menu, points are reflected by the number of Reports you purchase. 1 Report is equal to 50 points. When building a report, you might find that you need more analytics points than you initially thought. With Hootsuite, you don’t have to disrupt your workflow in order to create your perfect report – just add points as you go. See how below. When you have completed a report and see that it has exceeded your number of points, simply click Create Report. Within the pop-up, click the drop-down menu to choose how many more points you would like to add to your account. Sign up for Hootsuite and get access to Hootsuite analytics! Ronan is the HootSuite's EMEA Social Media Coach Manager.